What’s so funny about peace, love and the weekend. 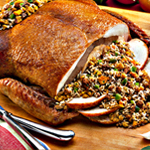 Your Perks: 1) Goldbely is delivering turducken, pumpkin cake and other holiday foods to your door. (Order today to get them in time for Thanksgiving.) 2) 25% off leather wallets inspired by gangsters. 3) 32% off Swiss-made watches for you... or someone you like. This is how you win the holidays. The plan next weekend: hopefully a lot of turkey mixed with a lot of nothing. 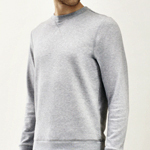 Hey, here’s some obscenely comfortable Peruvian cotton henleys and sweatshirts that would be perfect for doing nothing. Or just a little bit of something. 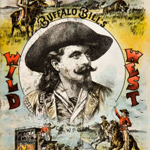 Ask yourself this: is there someone on your holiday list who would appreciate an antique firearm that was once owned by Buffalo Bill or Jesse James. If the answer is yes: there’s this Wild West–themed auction. If the answer is no: there’s still this Wild West–themed auction. 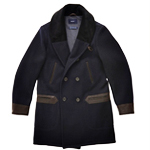 Gant wants you to know that you can now get their check button-downs, cable-knit sweaters and shawl cardigans for significantly less than normal. No need to think too hard here. Apparently, the folks at the Smithsonian have a lot of time on their hands. Because they recently decided to scan all 137 million objects in their collection onto the Internet. You can download the models. Or, if you have a 3D printer, reproduce them. 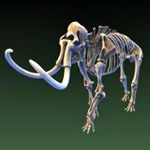 You’ve always wanted a woolly mammoth.